Manila, Philippines - The Land Transportation Office (LTO) on Saturday, May 10, 2014 announced that first batch of new license plates for motor vehicles and motorcycles has been released. The new plates are designed to be tamperproof and easier to identify in order to enforce road safety and discipline. The Department of Transportation and Communications (DOTC)—through its Twitter account @DOTCPhilippines—announced on May 8 that owners of new vehicles, who registered from February 17, 2014 onward, will soon be notified as to when they can get their new license plates. The department, likewise, announced that the replacement of existing plates will begin in the third quarter of this year. “The security features of the new plates will help weed out colorum vehicles from the roads, which will better assure the safety of the riding public. They will also help in reducing traffic on EDSA and other major thoroughfares in Metro Manila. Of course, these features will also enable authorities to enforce criminal and traffic laws more effectively,” Abaya said. While the sophisticated features of the new license plates appear expensive, Abaya assured the motoring public—especially new vehicle owners—that they will continue to enjoy the rates currently charged by the LTO. “The new license plates will still cost the same: P450 for four-wheeled vehicles, and P120 for motorcycles. These are the current prices already. New vehicle owners, meaning those who will register their vehicles for the first time beginning February 17 this year, will be charged the same rate as everyone else before,” Abaya said. 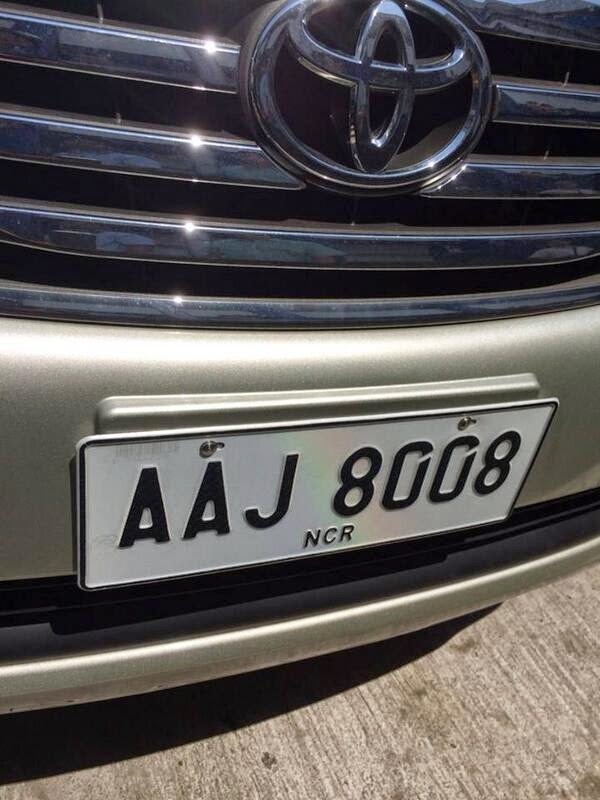 According to the DOTC chief, the same price also applies to replace existing license plates with new ones. “But this is a one-time payment only. In exchange, we get many security features which will improve the safety of our families and loved ones,” Abaya added.